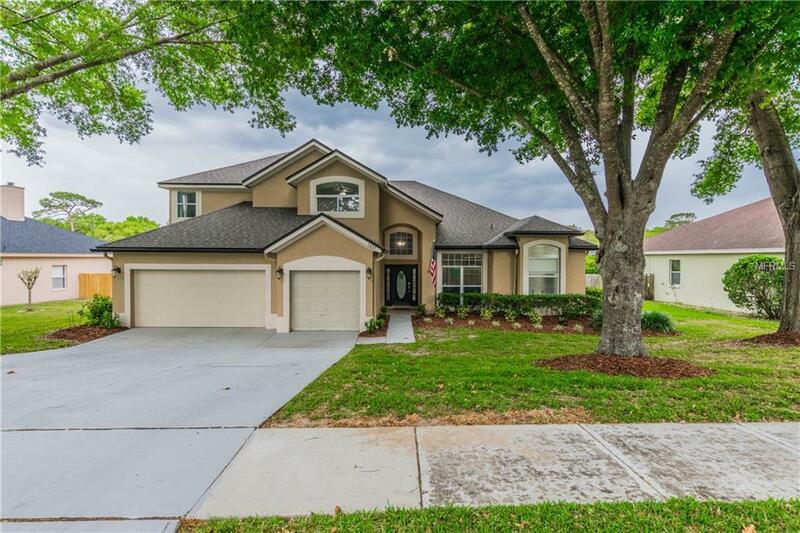 Gorgeous completely updated 2 story pool home with down stairs master, plus plenty of room for indoor or outdoor entertaining in sought after Sweetwater West gated neighborhood! Beautifully updated kitchen has 42in cabinets with crown molding and decorative hood, plus granite counter tops with tile backsplash and stainless steel appliances. Elegant foyer leads into formal living room with vaulted ceiling and a fantastic view of the pool. Master bathroom fully updated with granite dual sinks, plus garden tub with new decorative tile around it and new porcelain tile in stand up shower. Roomy master bedroom, complete with bonus room connected and double closets, plus a door to the pool. All 3 full bathrooms are updated with new faucets and granite, as well as an update guest bath, plus an outside pool bathroom. Main living areas have hand scraped wood and tile, plus wonderful views of the pool throughout. Fresh paint in popular gray tones w/ bright trim to show off this open floor plan with a nice Wood burning fire place. Fabulous oversized backyard hosts an amazing pool with 2 with giant screened enclosure. Located w/ easy access to I-4 and the 429, plus Altamonte Mall where you will find endless shopping & dining choices. This AMAZING PROPERTY will not last long. Come check it out today!